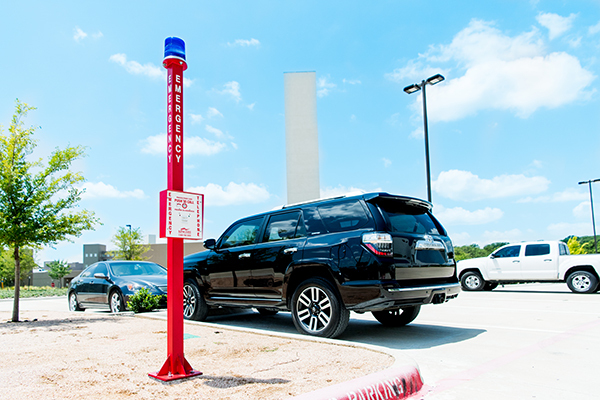 Parking lot safety isn't always the first area that property managers look at when it comes to property safety, but in reality, parking lots can be hot spots for many different types of danger. 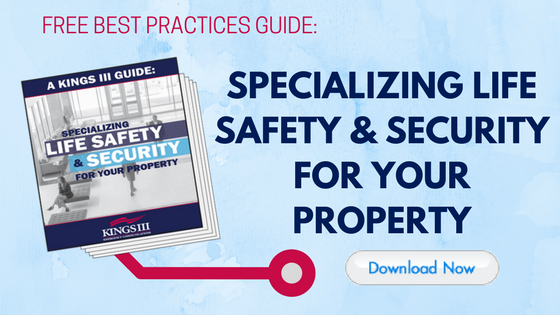 Learn what you can to do help keep your parking lot safe. When you really think about it, parking lots are not designed for pedestrians; they’re designed for vehicles, but that doesn’t mean that those on foot don’t regularly frequent them. Statistics support the notion that parking lots are not in the pedestrian’s favor: between 1993 and 2003, over 2,000 people died on business parking lots, according to The National Safety Council’s Journal of Safety Research. And, with everyone’s eyes on their smartphone screens, the danger is even more real today. Large parking lots, like the ones you may find at a shopping mall, are the ones most vulnerable to crime, according to the Urban Institute Justice Policy Center. What’s their advice? Be sure that video surveillance equipment and emergency communications are used to monitor the lot. Parking lot safety encompasses more than just crime prevention. Accidents can happen in parking lots too. In a recent public opinion poll by the National Safety Council (NSC), 66 percent of drivers nationwide admitted that they would make phone calls while driving through parking lots. Respondents also admitted to the likelihood (while driving) of programming their GPS systems (63 percent), texting (56 percent), using social media (52 percent), sending or receiving emails (50 percent) and taking/watching videos (49 percent). Needless to say, despite all of your proactive efforts as the property manager, parking lots are not always safe spaces. The time has come to take stock of your property’s parking areas in order to reduce unfortunate crime and accident statistics. In order to promote safety on ALL areas of your property, you should advise your tenants to treat your parking lot as if it is a busy street or intersection. Don’t wear headphones or be lost in/distracted by your phone screen. Don’t look distracted. Walk with confidence. Don’t be unaware of your surroundings- pay attention to who may be following you. Don’t park close to trucks and larger vehicles (like SUVs). Predators often hide in these spaces. Larger vehicles prevent witnesses from seeing you. Don’t have any personal identification on your key ring. Don’t approach your vehicle if you notice a stranger loitering nearby. Instead, seek help from police or building staff. Don’t dig into your purse or backpack. Don’t walk in between cars. Use parking lot aisles instead. Don’t assume a driver sees you if you are walking. Don’t linger once you are in your car. Don’t fiddle with the radio or check yourself out in the mirror. Take off as soon as possible. Continuously scan your area at 360 degrees, always looking all around you. Keep your finger on your car key’s emergency button as you approach your car. Sound your horn alarm to attract attention and/or scare off a predator if needed. Store your purchases out of plain sight (in your trunk or under dark-colored blankets). Surround yourself with both the open car door and the cart so a predator can’t easily get at you. Don’t put the baby in the car until you finish loading your purchases. Otherwise, a car thief could drive off with your child in the car. If possible, have a store or building employee walk you to your car and wait until you drive away. Once inside, lock your doors immediately. By sharing tips such as the ones above with your tenants, you can help to ensure that they stay safe in your parking lot. Property managers can also take matters into their own hands and combat parking lot crime and accident statistics with emergency phones. These life safety devices promote protection, serve as a crime deterrent and provide emergency response when needed. Have a parking garage on your property? Here are our parking garage-specific safety tips. To learn more about how Kings III can assist in upgrading safety measures in your parking lot as well as on your entire property, visit www.kingsiii.com.